I finally got around to seeing the new Spider-Man movie over vacation. Every time I think I’ve grown tired of this seemingly endless barrage of superhero flicks, Marvel figures out a way to place a prime character in a different genre. 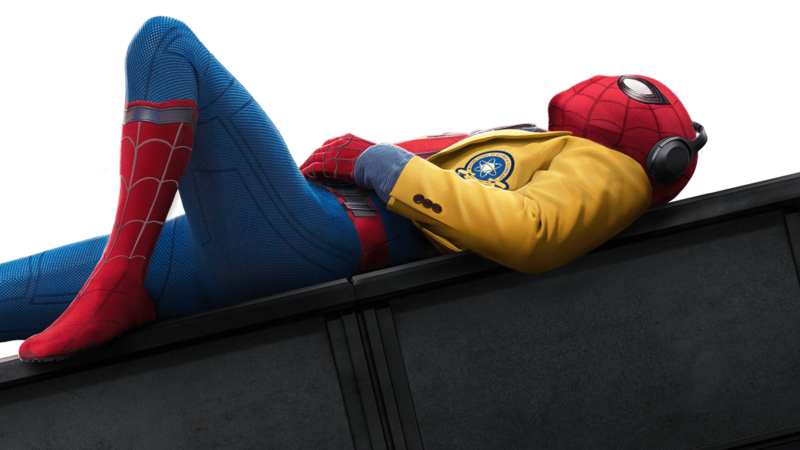 Sure, in this film there’s a costumed protagonist and an antagonist hell-bent on ill intent, but ultimately, Spider-Man: Homecoming is just a high school movie: awkward teens, bullies, cliques, crushes, clumsy romances, gym class, field trips, house parties and the titular big dance — we’ve all been there, which helps to ground an otherwise all-powerful character into our shared reality. One of Hughes’ calling cards as a director was a deft touch at incorporating pop music into the soundtrack. He had a knack for placing a left-of-the-dial tune in a key moment (as Echo Park Jimmy pointed out here). Hughes (in his 30s at the time) was unlike other adult directors, who would simply look to the pop charts for inspiration, then get Kenny Loggins on a conference call. Hughes used music as a second language, to convey that this truly was a movie for the kids (and your parents won’t get it). So it was surprising and sweet to see a nod at the beloved ’80s director in Spider-Man: Homecoming. One montage — when Peter is getting ready for the dance, not fighting bad guys — features “Save it for Later” by the English Beat. That wave-2 ska band is a favorite of Hughes’; for proof, just check out the climatic race-for-home scene in Ferris Bueller. Then, when Peter Parker and his date enter the homecoming dance, A Flock of Seagulls’ “Space Age Love Song” fills the gym. Not modern hip-hop or emo, but rather ’80s synths. This is clearly the choice of a prior generation, brought up at the height of high school movies and our true hero, John Hughes. Another clever use of music: The movie’s orchestral opening references the theme song to the late-’60s “Spider-Man” cartoon theme song. Yet another clever use of music: Closing credits are set to the Ramones’ “Blitzkrieg Bop.” It fits perfectly with the gritty streets of New York setting of Spider-Man. And it’s a nod to a noted comic book fans the Ramones, who once covered that Spider-Man cartoon theme song. Absolutely, I could not believe the background music. When he shows up to the Homecoming Dance and Flock of Seagulls was playing I nearly fell out of my chair. Awesome for anyone over 40 !! !